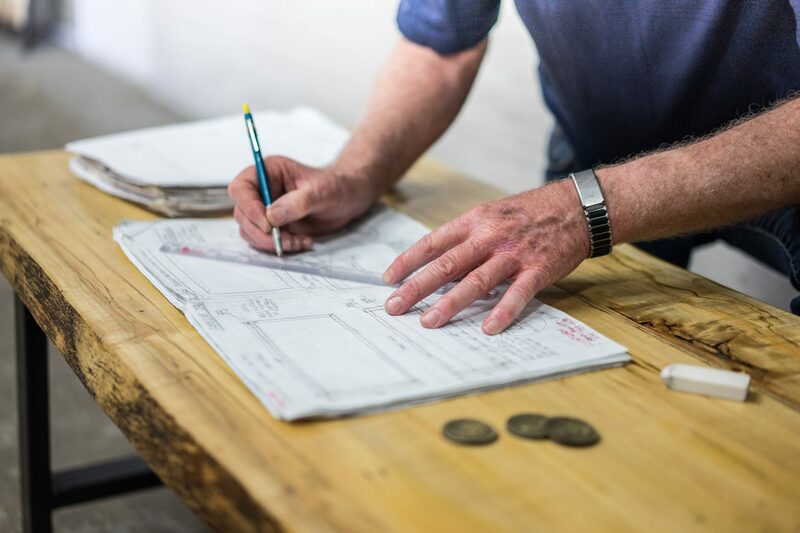 GriffinworksTM is a small made-to-order furniture design and fabrication business that uses traditional industrial materials that highlight the industrial heritage of the Griffintown area of Montreal, QC, Canada. “When I moved to Montreal in 1996 I rented a condo on rue Notre-Dame Ouest, just east of rue Guy. At the time, it was largely a run-down and abandoned industrial area of the city that most Montrealers had long before written off. However, I had always been fascinated by old industrial areas in cities and I love to explore them. To me, these areas tell the story of the roots of a city over time. I soon noticed a small restaurant on rue Notre-dame known as “Griffintown Café”. I asked the owner about the name and he told me that I had in fact moved into an area known as “Griffintown”. I discovered that I had accidentally settled in one of the most historic industrial areas in all of Montreal, in fact in all of Canada! Who knew that a major part of the industrial revolution in Montreal, Quebec, and Canada was centred in Griffintown between 1820 and 1900? That was long before much of Western Canada was even settled! At the time, nobody had so much as heard of Griffintown. Fast forward several years, to 2010; Griffintown had become the focus of serious urban redevelopment with numerous multi-storey condo buildings and support services opening up throughout the quarter. In the middle of all that redevelopment activity, a lot of the rich industrial history embedded in Griffintown was lost. It was for that reason that I decided to turn my part-time furniture design and creation hobby into a way to pay homage to the rich industrial heritage of Griffintown. 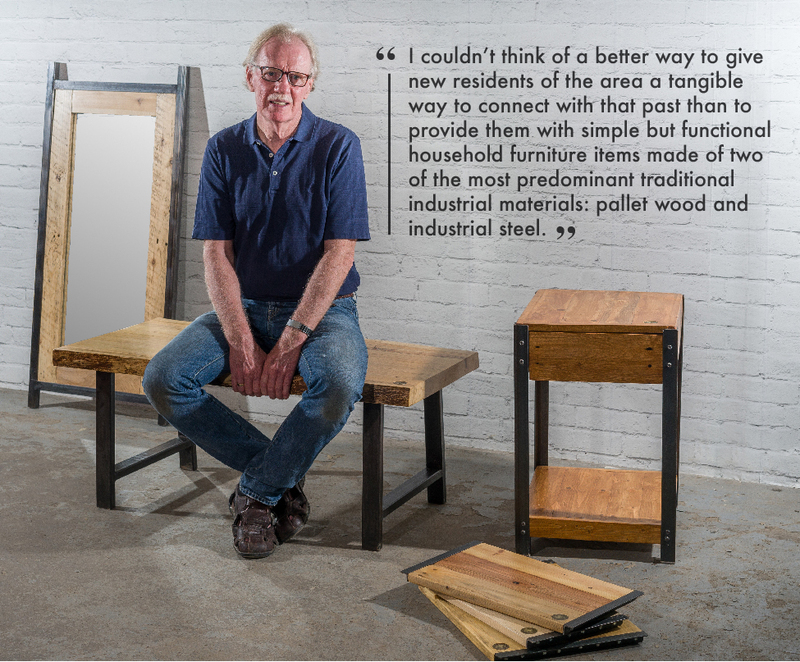 I couldn’t think of a better way to give new residents of the area a tangible way to connect with that past than to provide them with simple but functional household furniture items made of two of the most predominant traditional industrial materials: pallet wood and industrial steel. 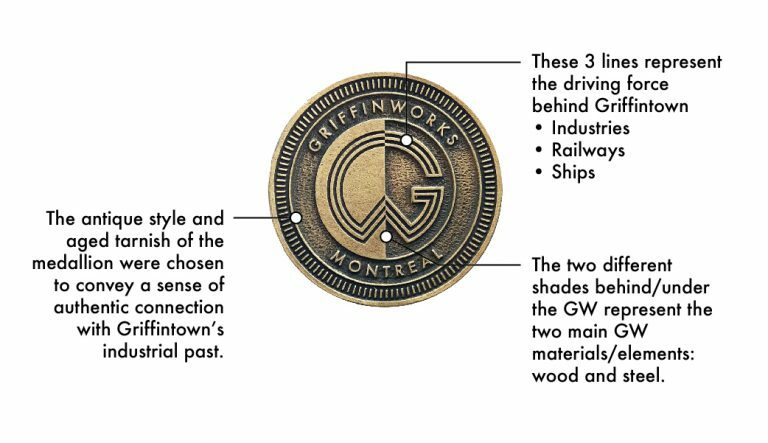 The whole idea behind GriffinworksTM is to produce unique furniture designs and products that evoke the industrial heritage of the Griffintown neighbourhood of Montreal. All products were conceived and designed in the Griffintown neighbourhood of Montreal and handmade close to the Lachine Canal in the Griffintown-Pointe St. Charles-St. Henri corridor. Each item is handmade using carefully curated recycled/reclaimed Montreal-area pallet wood, or live edge wood slabs; combined with raw industrial steel. Each piece is named after a street in Griffintown; past or present. Each piece contains an embedded and visible Griffinworks “medallion of authenticity”; the unique signature that is exclusively found on all Griffinworks products. In summary, a Griffinworks product is truly one-of-a-kind.